Smash the box because the creativity is unlimited when it comes to designing events are crazy fun and loaded with purpose! More information about our specific events is below! 5 days of jam-packed, unforgettable, experiential learning… all designed to help them discover their passion! Our summer program focuses in on giving relevant, real-life experience in areas that our students are interested in and discuss areas within those focuses that could be future career paths. We package the experiential learning into projects called “Concept Groups.” These are intensives that are infused with leadership lessons, creative and interactive environments, and incredible amounts of FUN! Business Start-Up Week is a 5 day experience in which students are grouped into small start-up company teams that brainstorm a product idea, perform market research, create a budget, launch a social media campaign, pitch in a shark tank for an actual investment, sell their product at a public business fair, donate to a charity of their choice, and take profit home! Every student will walk away with REAL business skills, a sense of entrepreneurialism, and connections to the business world in this real-life opportunity to learn life-long skills! Calling all golfers for 18 holes of fun, sun, and making an impact in the lives of middle school students! 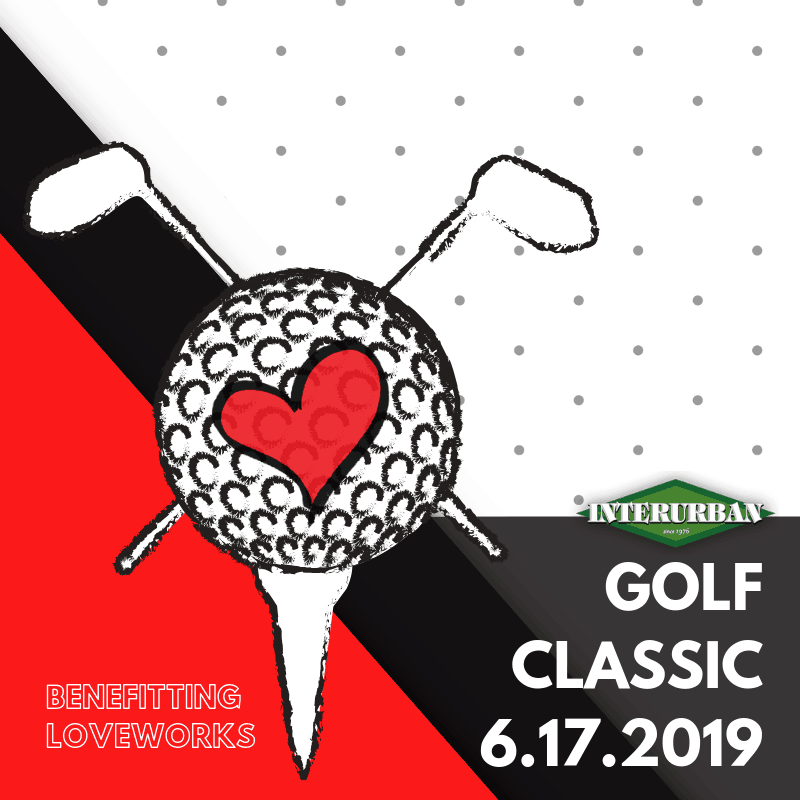 Register below for a golf tournament unlike any other! Your students is going to learn exactly what being the greatest of all time means at Junior Summer Leadership, an intentional 4 days of jam-packed, unforgettable, experiential learning… all designed to help them discover their passion! 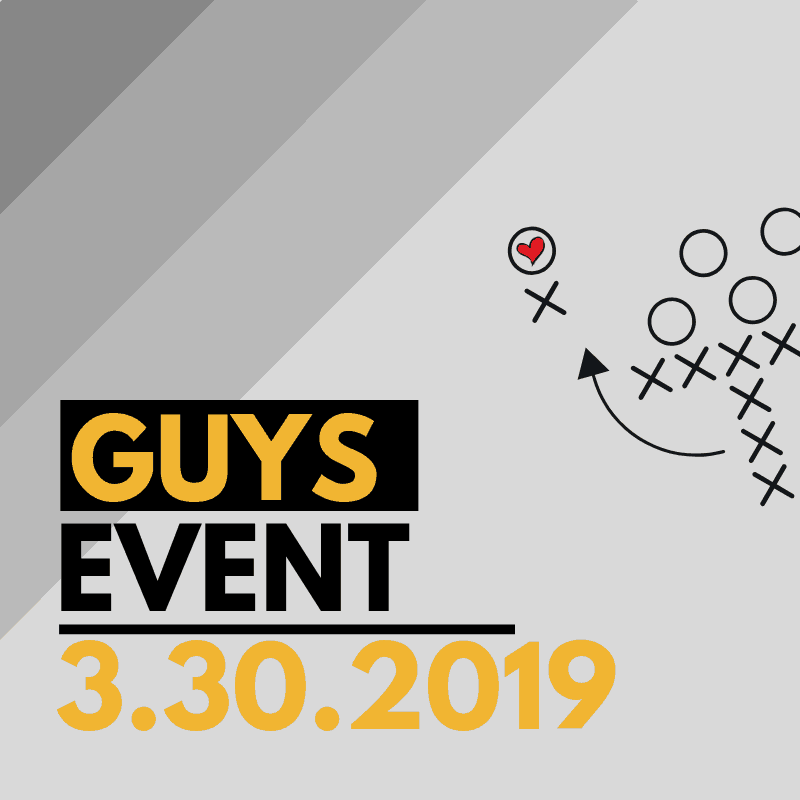 This experience will include inspirational leadership lessons, creative and interactive environments, lots of food, and incredible amounts of FUN! You're invited to a girls-only night to learn how to boldly lead like a young woman and uncover attributes already inside you. 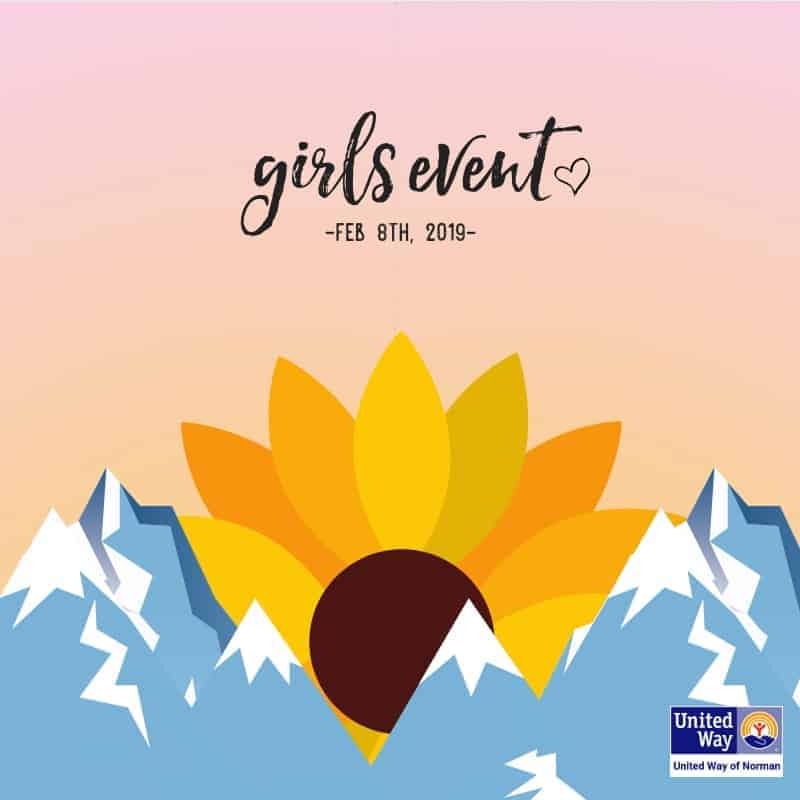 Bring all your girlfriends that are in 5th-8th grade to have tons of fun and enjoy tasty treats alongside strong, female role models and guest speakers! Learn from male role models with strong character! This action-adventure is designed to cultivate young, male leaders who will be equipped with the skills and values of a modern-day gentleman. Box City 2019 Dates coming soon! Become an overnight advocate in action in this special night dedicated to raise awareness for homelessness! Our students will bring a box, blanket, and pillow while leaving comforts at home to join in this incredible night of fun and cause. Expect music, dancing, and making a difference in this world. The Pitch is an entrepreneurial initiative, teaming students with professional mentors to learn business, architecture, and public speaking skills. Students spend 6 weeks preparing for their "pitch" to renovate and innovate a space in the Loveworks Center that will allow for students to discover a passion in a particular field or skill. At The Pitch Dinner, you get to sit in the judge’s seat and select the winning team! Join us for an evening benefitting Loveworks Leadership. Your son or daughter has had a blast being a part of Before School Leadership...but that was only 5 weeks long! While you may be cheering for a little bit more sleep in the mornings, you may be wondering what's next for your fifth grade student. We'd love to tell you! 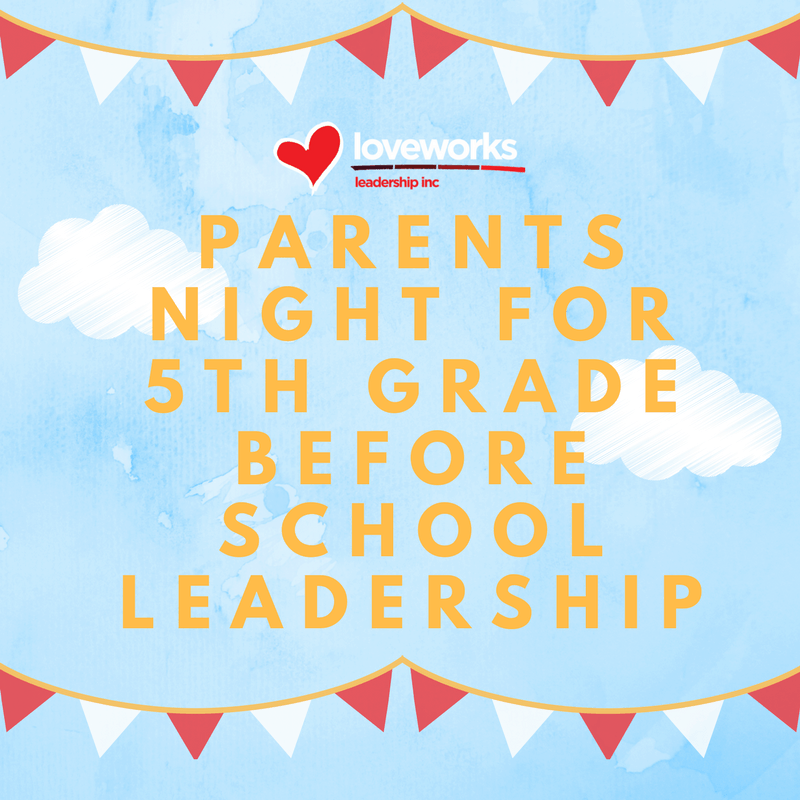 The whole family is invited for a night to find out about the newest opportunities for fifth grade students to lead at Loveworks. Imagine a world where every student felt loved. This initiative is about creating and crafting Valentine's Day shoeboxes to become special gifts for the local students in need. Dates coming soon! Sign up for event updates. First it was the millennials, and now it’s Gen Z. The newest generation has always been a head-scratcher: How do we motivate them? How do we interact with them? How do we lead them into a successful future? We've had Dr. Tim Elmore of Growing Leaders and Justin Mayo of Redeye Inc as keynote speakers for this one day event geared towards all people working with the youth. 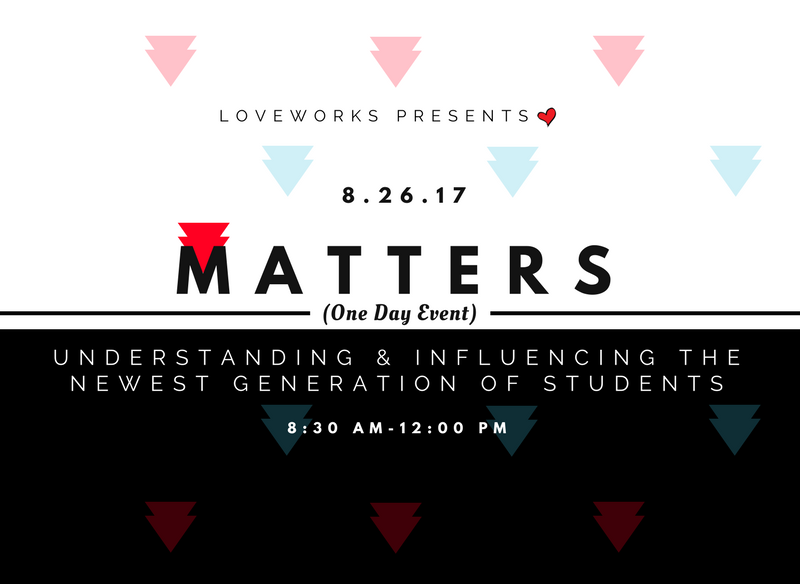 Your family is invited to join the Loveworks Staff for an evening event to eat great food and learn about new opportunities for both new and returning students at Loveworks in Norman! 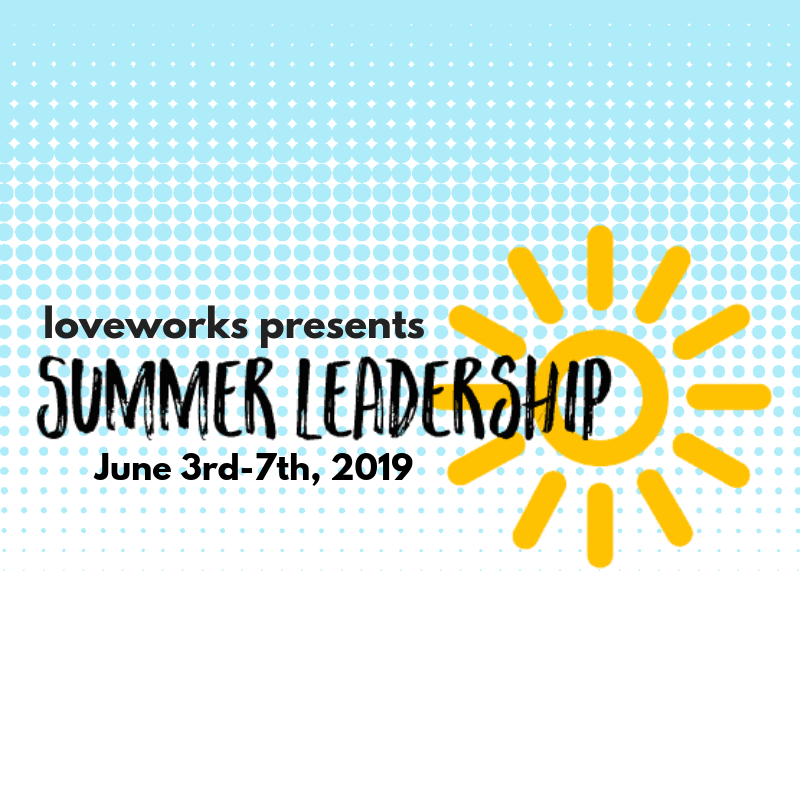 Loveworks will be rolling out new leadership opportunities for students and we want students to start thinking now about how they can lead in an area of their passion in the 2018-2019 school year, whether that's in an experiential learning concept, Homeless at Heart, REAL Kitchen, or our Leadership Team. Celebrate yourself and how you can use your special day to positively and intentionally impact others! Click the link below to find out more.